Looking to buy a house in Springfield? Springfield is home to a number of beautiful historic neighborhoods with unparalleled features and strong communities. 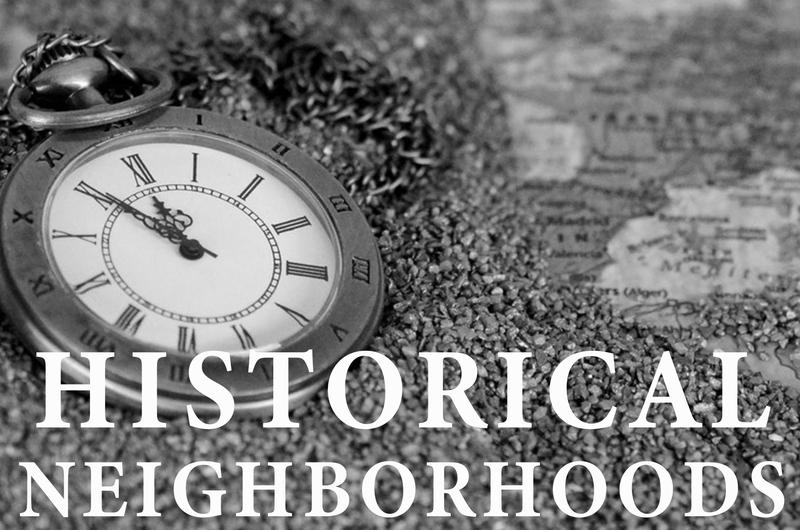 Learn more about Springfield’s historic neighborhoods and browse the available homes below. Southern Hills is a subdivision in south Springfield with close access to Highway 65. Featured in 417 Magazine, the neighborhood is in close access to restaurants, Sam’s Club, Harter House, and some of Springfield’s best shopping. Southern Hills is very family friendly and is a beautiful place to buy a house. Rountree is a historic neighborhood located near the center of Springfield and the Missouri State University campus. A neighborhood with a strong sense of community, holiday celebrations and events become a neighborhood-wide affair. The location is a bike ride or a walk away from professional baseball, performing arts, and restaurants and feature a variety of home styles. Rountree is a truly unique neighborhood with a strong charm that avoids the cookie-cutter identical houses found in many other neighborhoods and subdivisions. University Heights is a historic neighborhood also located near the Missouri State campus. The neighborhood is full of historic unique architectural homes, many built in the early 20th century. The streets are lined with trees and full of walking trails, making it a perfect place to buy a house if you enjoy outdoor activities. The neighborhood is close to Mercy Hospital and the Springfield Art Museum, right near the heart of Springfield. Phelps Grove is a gated subdivision in Central Springfield with close access to downtown businesses, the Battlefield mall, the Springfield Art Museum, and shopping centers. The neighborhood has a nice mix of young and old residents as well as families. Phelps Grove is the only single family neighborhood in Springfield that has bicycle patrols, and may residents enjoy outdoor activities when the warmer weather hits. Brentwood Estates is a historic neighborhood located right off of Glenstone Avenue. The neighborhood is a quick walk to the Brentwood Library, close access to the Battlefield Mall, and many restaurants. The streets are lined with trees and residents have close access to many of amenities that Springfield has to offer. Brentwood is a fantastic neighborhood to consider if you are looking to buy a house. Interested in looking at one of the amazing homes available in these historic Springfield neighborhoods? Contact The Dan Holt Team today to get started. Call our office today at 417.447.2782 to schedule an appointment!